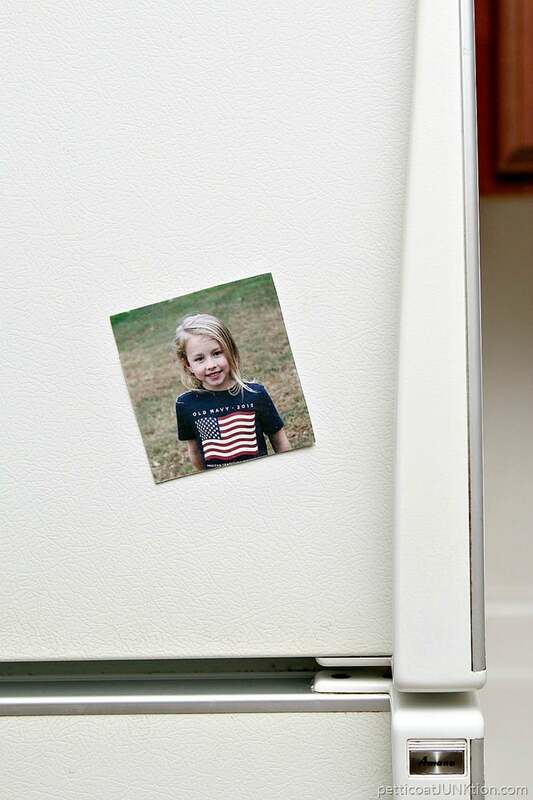 Today’s project is a DIY Refrigerator Magnet. 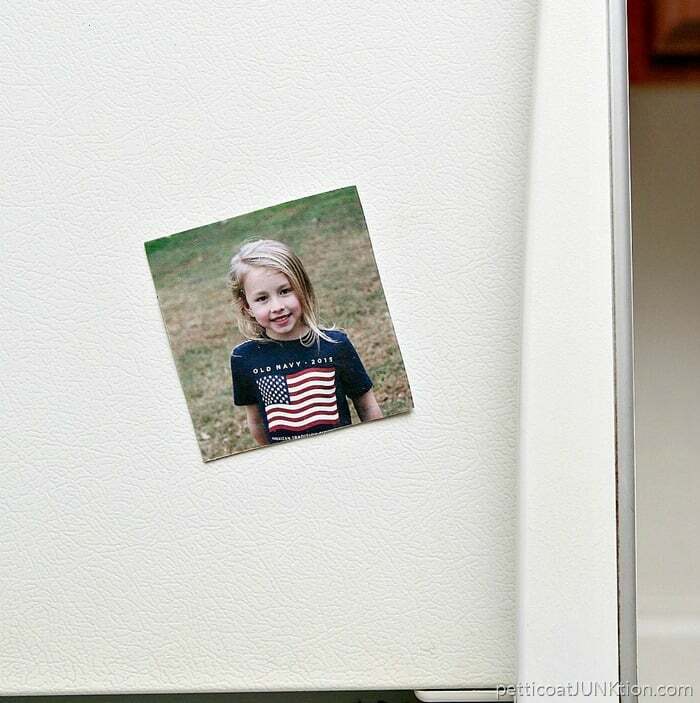 I covered an old advertising magnet with a photo of my granddaughter using Mod Podge ® Photo Transfer Medium. That old magnet looks so much better with Sofi’s picture on it. I took this photo of Sofi on Thanksgiving day and decided not to just let it hide out in my computer files. I don’t know about ya’ll but I very seldom print photos or have them printed anymore. We’re living in a digital age and sometimes that’s good and sometimes that’s bad. 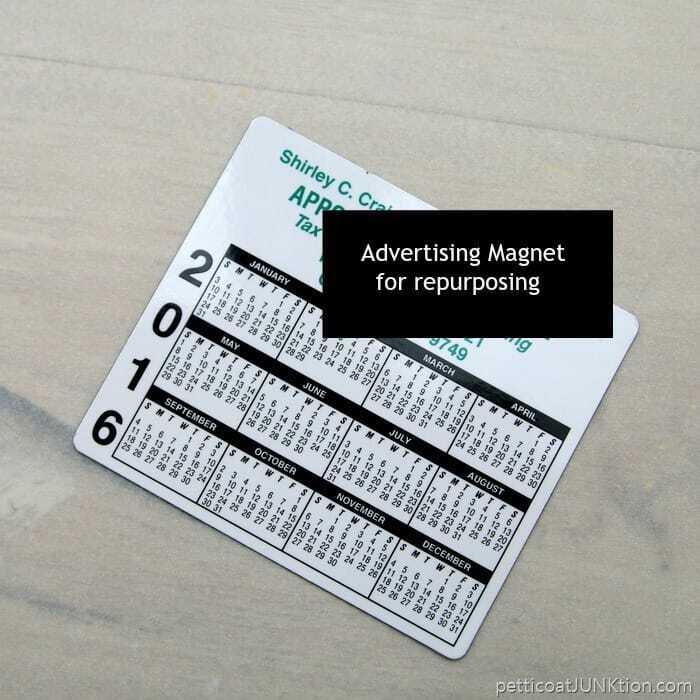 I spotted the 2016 calendar magnet on the fridge and a light bulb went off. The photo of Sofi would look much better than the calendar. The calendar is going to be out of date soon anyway. Here you see the photo of Sofi and the back side of the calendar magnet. The photo for the transfer must be a photocopy from a dry type toner/copier. You cannot use a real photo. I went to Office Max and had them print a mirror image copy of the photo (cost 76 cents). Any image or print that has text has to be mirrored (flipped image) or the text will be backwards when the photo transfer is completed. I almost messed up this part. I didn’t write any text on the photo but the shirt Sofi was wearing has text on it. The Photo Transfer Medium is thicker than regular Mod Podge. 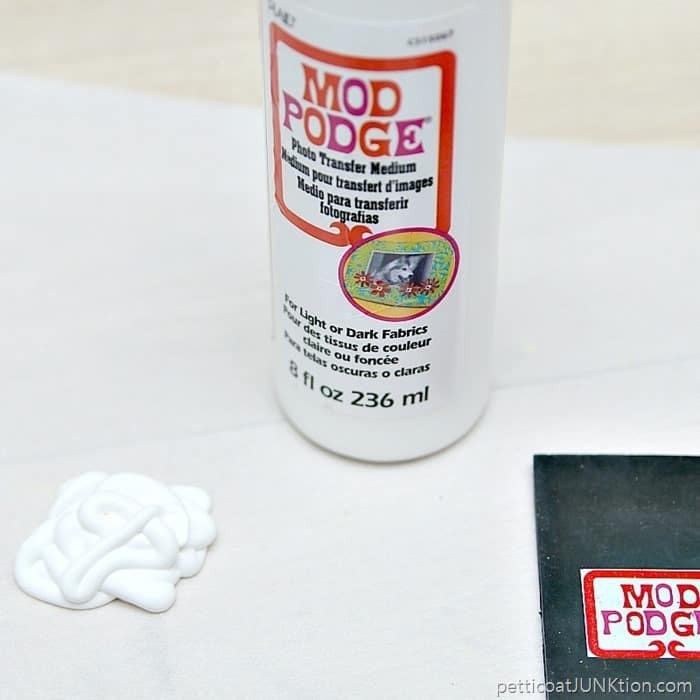 How To Use Mod Podge Photo Transfer Medium. Step 1. Apply transfer medium to the photo. Lay the photo face up on parchment paper or wax paper. 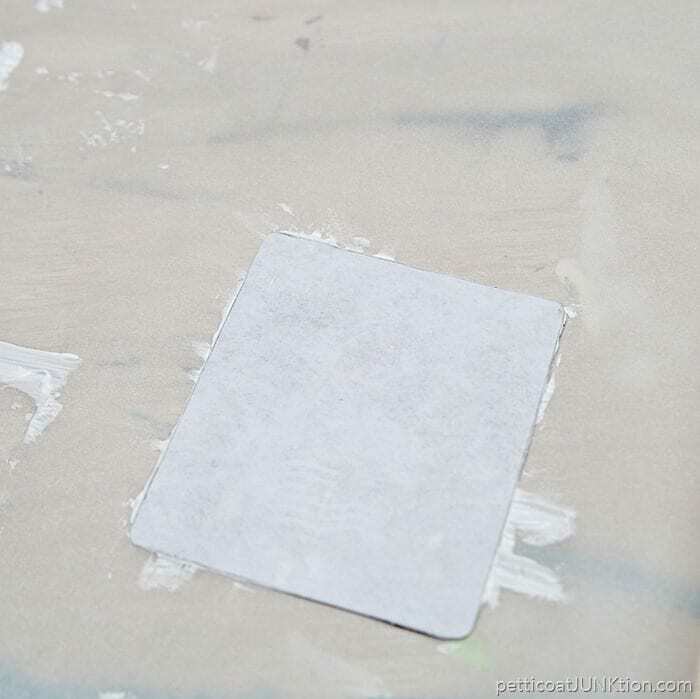 Apply a thick layer of photo transfer medium to the photo. Make sure the photo is covered completely. I applied the transfer medium with a brush then used the squeegee to smooth it. Step 2. Lay photo onto project piece. Pick the photo up carefully with fingertips trying not to remove any of the transfer medium. Flip the photo over and lay it carefully on the project piece, in this case the front side of the magnet. Smooth out any bubbles or wrinkles carefully with a damp rag or fingertips. Wait 24 hours before preceding to the next step. I know….patience. Step 3. Remove the paper from the image. Wet a cellulose sponge and squeeze out most of the water. Wet the image completely and let sit for a minute or so. 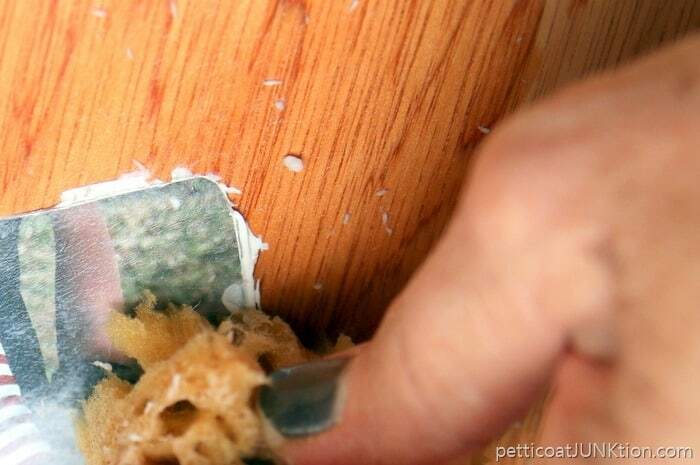 Next start removing the paper by rubbing the sponge over the photo from the middle working to the edge. The paper will begin to roll up. Don’t get to rough with the rubbing or you will mess up the image. Let the photo dry then see if you need to go over the image again. Sometimes the photo will be a little hazy in spots. 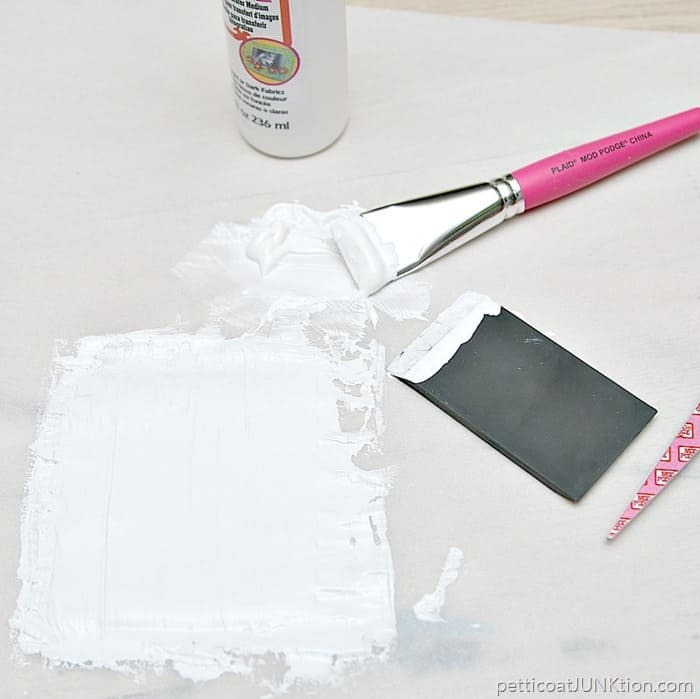 Let the photo dry completely then apply a coat or two of Mod Podge to protect your project. I used Mod Podge Matte Finish. Once my photo was dry I cut the magnet smaller and removed some of the excess background. The first day or two the magnet was on the fridge it lifted just a bit at the corners. You know how anything draws up when it gets wet?? Well the photo drew up a little on the magnet. The magnet lays flat on the fridge now. Just needed a little time. Now I see my beautiful Sofi every time I look at the fridge. 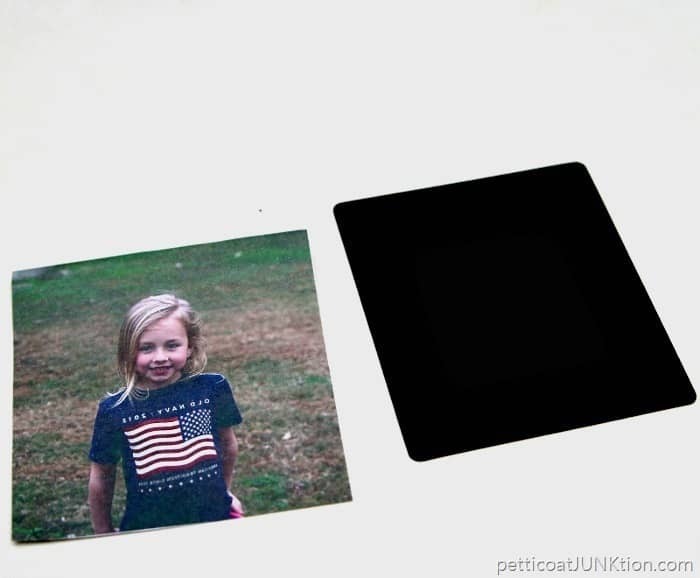 The photo transfer can be done on a number of surfaces. Would be a fun project to make for a Christmas gift…..just sayin’. A few tips for using the Photo Transfer Medium; use a photocopy and not a real photo, reverse the image if it has text, apply a thick layer of photo transfer medium, rub gently when removing the paper. Okay, now you’re ready. Leave a comment. You know I read them all. 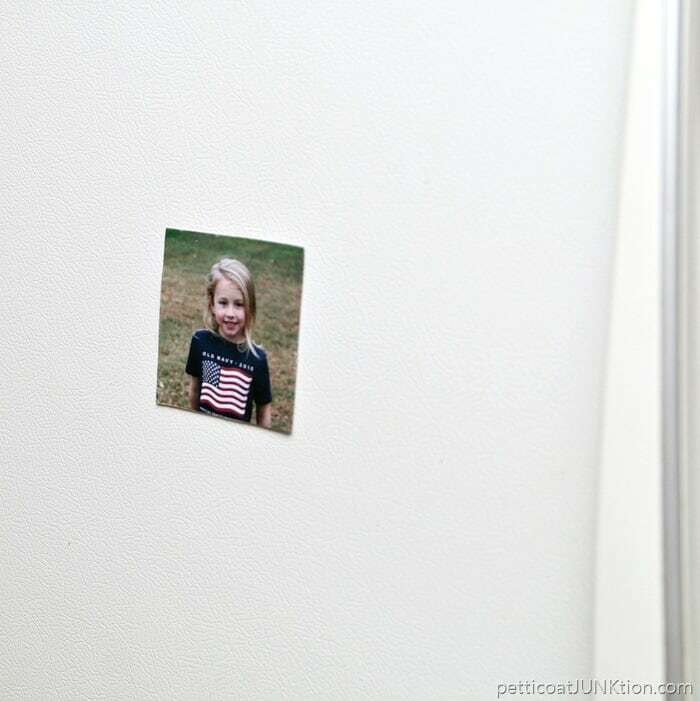 Visit my fellow Plaid Creators to view more Photo Transfer Ideas. Photo links below. Have a great day and I’ll see you tomorrow. Visit Plaid Online. Follow Plaid on Facebook, Plaid on Pinterest, Plaid on Instagram, for DIY inspiration. Products used in this project may be found here…. 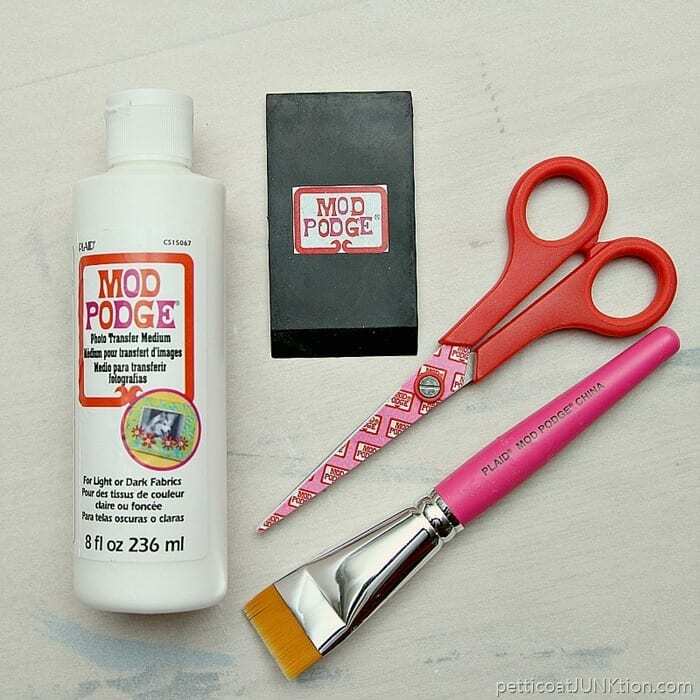 Large Photo Transfer Medium, Small Size Photo Transfer Medium, Mod Podge Tool Kit ( love this kit). She’s such a cutie! I never would’ve thought to reuse an old magnet like that; thanks for the idea!! I’ve been wanting to try this, maybe after the first of year!!!! What a great idea! And a great tutorial. I gotta get me some of that there Modge Podge stuff! Thanks for the demo. This looks like a fun project and the cost is very small! 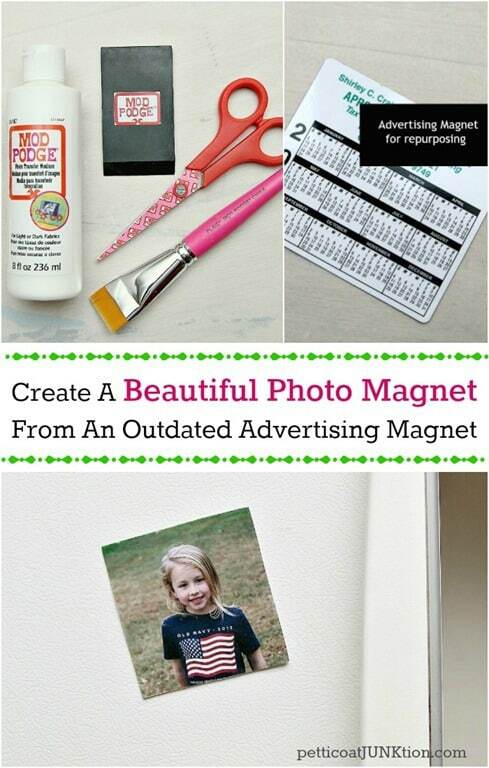 A great re purposing for those old magnet calendars!